I figured it was time I wrote an anime post since I've not done an anime post for awhile, and instead focused more on film and game posts. The only anime post I have done so far is 5 Centimetres Per Second and I now reckon I should write some more. On the 27th of January, after failing to finally go and see The Hobbit: An Unexpected Journey with my dad due to us both feeling a bit ill, I saw that an anime that Lewis mentioned last year was on Sky Movies. I thought that perhaps this could compensate for missing out on Peter Jackson's new Lord Of The Rings prequel trilogy... and it did! Well, for now at least. I will have to watch The Hobbit: An Unexpected Journey when the the DVD is out. 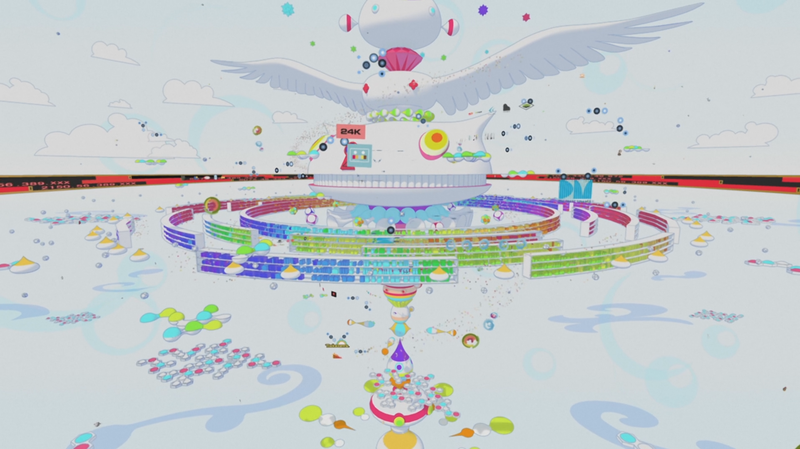 Summer Wars is an anime film that takes you into the world of a fictional 'massive computer-simulated virtual reality world' (basically an evolved version of the internet) called OZ. 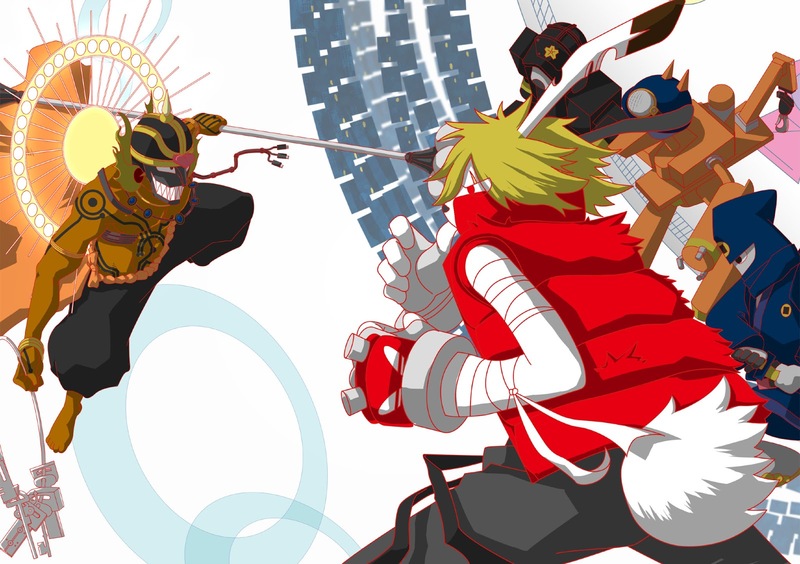 The world in the anime relies on OZ to do everything, such as business, playing games, communicating, storing sensitive data, as well as a tonne of other stuff. You can create your own Avatar to explore the web with also. But it's not all fun and dandy, in this film you witness just how dangerous the Internet can be! Our story begins with timid eleventh-grader and part-time moderator Kenji Koisu being asked by his crush Natsuki Shinohara to come with her to her family's home (the roots of Natsuki's family dating all the way back to the Muromachi era) and pretend to be her fiancée, all because she wants to make her spunky (giggidy) granny Sakae Jinnouchi proud of her. I mean, the opportunity to hang out with his crush, what boy would turn such an offer down? Kenji gets quite the greeting from all of the family members, all happy to meet him and all keen on celebrating Granny's 90th birthday with the added return of Natsuki's bad half-granduncle who did something bad to the family 10 years ago. I've got to be honest with you, there must be around 22 to 25 members of the family so it's rather hard to remember everyone, so I just focused on the main characters rather than taking names. Anyway, later that night, Kenji receives an unknown text from someone with a mathematical algorithm code asking for help, Kenji, being gifted at maths, solves this easily and then sends it to him... With dire consequences! By morning OZ has been hacked and more or less ruined, with accounts stolen by a powerful A.I named 'Love Machine'. Kenji's name and avatar is revealed on the news exploiting him as the boy who did all this to OZ. Whoops! So now there's a big mess to fix since the world relies on OZ to function, so it's not just the internet that's in trouble! The idea of turning the Internet into a battleground for the avatars was really cool, while the storyline just proves how serious being with your family can really be, as well as helping everyone else out during a crisis. Lewis explained to me in June of last year that the Director that was behind Digimon: The Movie was also the director of this film and after watching it, I can see that clearly. The inside of OZ looks so much like the Internet from Digimon: The Movie where Diaboromon was causing chaos. It was like déjà vu, and it felt good to see a 13 year old anime film from my childhood almost recreated before my eyes. 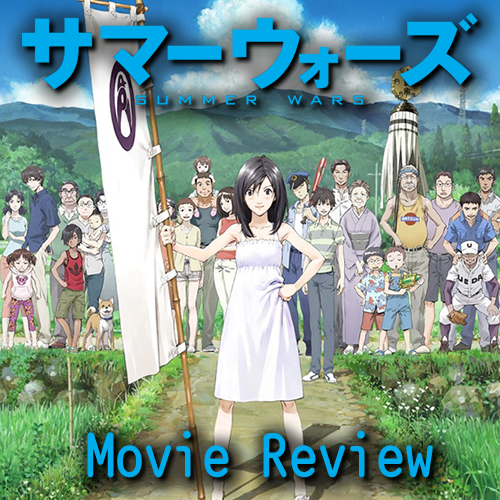 So if you loved Digimon: The Movie, particularly the second half (Digimon Adventure: Our War Game) then this film is definitely for you! Neo Magazine stated that Digimon Adventure: Our War Game is "plainly a prototype" of Summer Wars, so no argument there. It was just just like old times, watching all the action take place inside a world similar to the internet, while drama was happening in the real world. It was really cool to watch all the main characters, as well as the members of this very large family, type their way through the film, looking so darn cool. Especially since in reality most normal families just shop online or update their Facebook statuses. It was definitely a change from the normal boring routines that take place on your average computer. At the end of the film you learn two things: 1, YOU DON'T ANSWER A MATHEMATICAL PROBLEM FROM AN UNKNOWN SOURCE! And 2, You must be careful with what you store on the Internet (I'm talking to you, Google Chromebook owners) unless you want any of the trouble that happened in this movie! In the end this film left me with a smile on my face thanks to a thrilling, technical, action-packed roller-coaster ride, and to top it all off, the sun came out once the film had ended!